In all subsequent airings and home releases, the pilot was re dubbed ‘Help Wanted’, and paired with two additional episodes ‘Reef Blower’ and ‘Tea at the Treedome’. As such, the original end credits sequence was replaced with one that credits all three episodes. 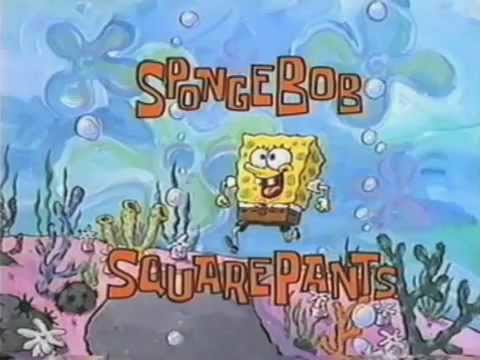 The original opening sequence was replaced with the typical intro placed at the beginning we’re familiar with today, and where the title once was is edited out by use of a generic bubble transition. Additionally, a sound cue of a harpsichord playing along with seagulls squawking over a black screen just before the episode fades in, was also removed. The pilot has never re aired or re released in its original format. Considering it is of some historical value, I’ll be doing a small reconstruction using the 1080p iTunes release of ‘Help Wanted’, and whatever sources of the original pilot are available. I plan to have two audio tracks, one reconstruction using multiple sources, and one of the VHS audio as seen above synced to the final product. Sounds like a neat little project. Surprising they’ve never released as-is on a DVD even as a bonus feature. Quite interesting. 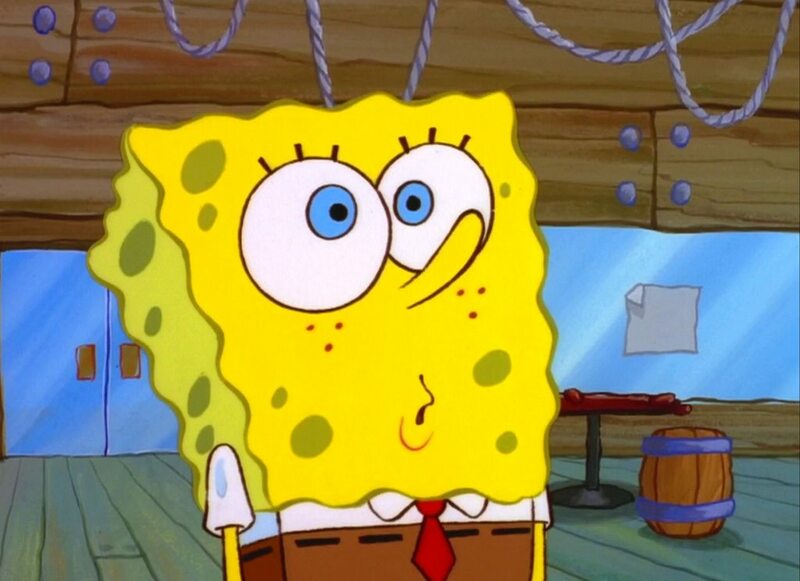 I miss the early days of Spongebob. Excited to see this ! It seems to be from recorded retrojunk, but I can’t find the original source. It has better audio then the source you posted. According to a comment on the new video, the music used during the title sequence is the same music used for the title card of the episode “Hall Monitor”. So I’ve been working for a little while on color correction, as it seems the picture is in dire need of ‘de-purpling’ much akin to the 2004 Star Wars masters. I theorize that an original master was made to show once to Nick in '97, and once following the KCA’s to debut the show’s first episode. After the remainder of Season One was completed, with a cemented introduction song, however, the original 35mm elements were remastered to remove the original intro and replace it with a bubble transition two years later, in order to fit with the remainder of the show. The master was definitely done incorrectly for whatever reason, as evident when comparing the contrast-corrected VHS recording of the original master, to the current master used for all subsequent reruns and home video releases. I also believe in the recent HD releases, there was a considerable amount of noise removal to remove the film grain from the 35mm elements (35mm elements meaning most everything you see, save for a few post-animation alterations that bring a considerable amount of motion smearing and interlacing with them). I think this correction (especially the last one) may be a tad contrast-heavy, but all of this is still a work in progress. You’re definitely getting some artifacting and crushed details there, but it’s a step in the right direction. Unfortunately this is about as close as it’ll get to the original broadcast master, there’s not much more color information I can pull out of this release. I’m trying to stay as faithful as possible to the animation cels/VHS tape, without crushing too much detail, a problem I’ve already ran into thus far. Stay tuned, and thanks for the feedback. i have a little story to tell about this capture! see, this kid named Joey On the Lost Media Wiki Bought the tape for about 100 bucks and recorded it through his camera! i left a comment about how he should get a capture card! and BOOM! he got the capture card! i later found out that the capture card he got was a 5 buck EZ Cap! 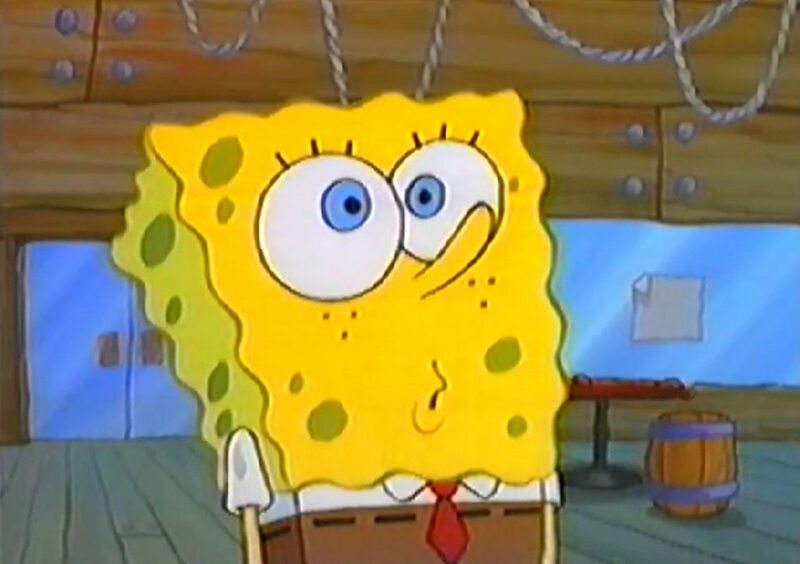 You mention 35mm film elements… I wasn’t aware SpongeBob season 1 was stored on film… I mean it would make sense, but I never found any solid proof. I believe you can see occasional dirt or damage in certain shots. That’s definitely a good start. We’ll have to compare the colors with the sources I posted to see if the first source is accurate. I won’t be surprised if the different colors are the result of it being on an old vhs tape, or the settings on the capture card were skewed, and the itunes version is more accurate to the original 35mm print. The audio seems to be a simple edit. 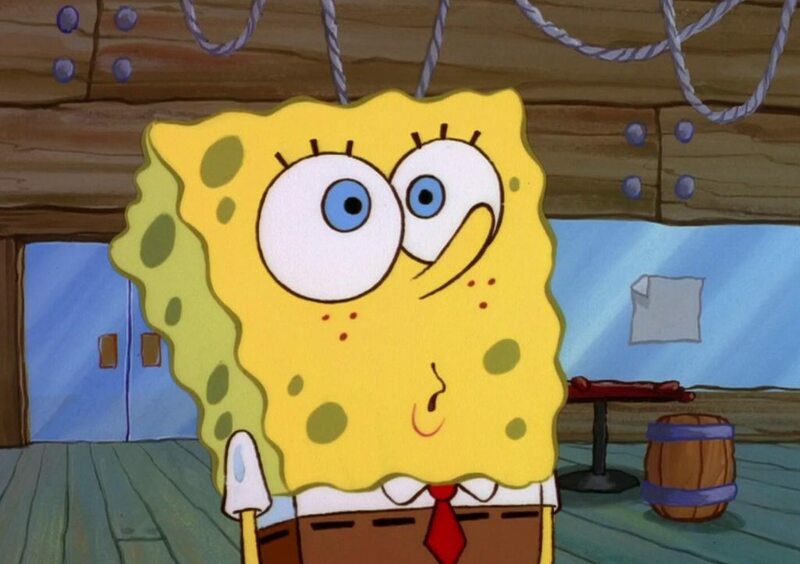 When spongebob and the announcer are talking, that can be from the youtube source I posted, while the rest of the intro can be from the title card music from the Hall Monitor episode. Some guy in Youtube is doing a 16:9 reconstruction of the pilot and has some great reference images. Great job with this, zxthehedgehog! Congrats. The only gripe I had is that the transitions aren’t as smooth as I had gotten used to with Harmy’s Despecialized Editions of the Star Wars Trilogy. But since this is a work-in-progress, I guess you still have some kinks to clean but it still looks really great, nonetheless. And anyways, about ACBC… can we talk about it in my Peanuts Preservation thread? P.S: I am currently contemplating on making another thread on an idea for making a full-on restoration of the entire series run of Clarissa Explains It All (which is where my profile pic came from, I originally planned to use a Han Solo profile pic but someone already had that and I just used my Spleen profile pic who just happens to be Clarissa Darling because the Spleen also loves '90s Nickelodeon and I had a Clarissa picture on my PC for some reason). I would explain all [pun intended] the problems of the many widely known sources available depending on whether you people here think it’s a good idea. The title cards for the original pilot have just been posted in High Definition by Adam Paloian, current supervising director on the show. Great news for the advancement of this reconstruction! Amazing! Paramount Pictures will be impressed. And I bet it’s going to be a 20th Anniversary edition.